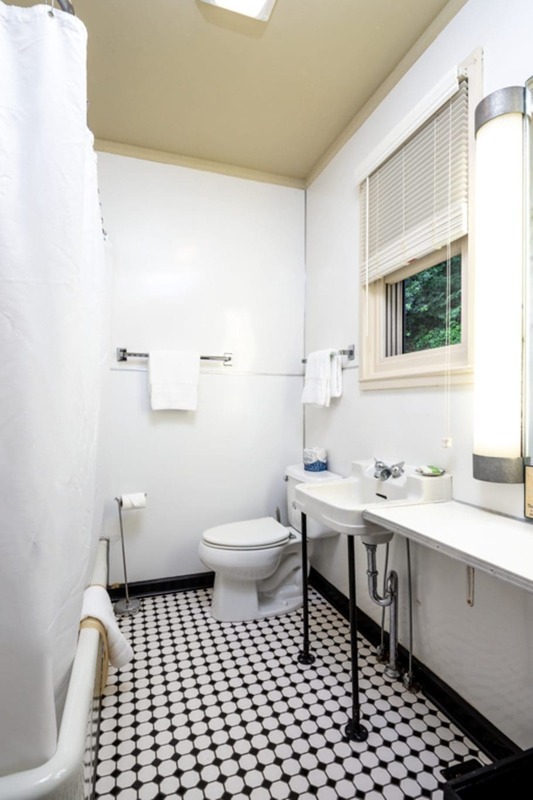 The Overlook Cabin features two units with a view of the beautiful Cheoah River and Tapoco grounds. 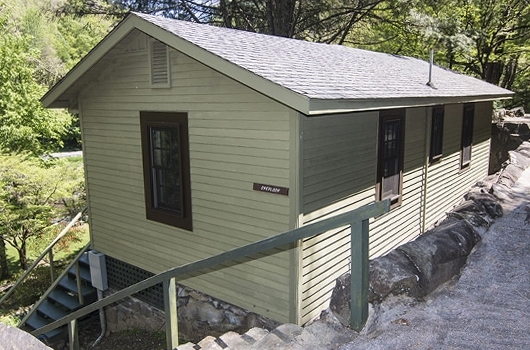 The Overlook cabin rooms share a porch making it an ideal cabin for friends to share and enjoy. This cabin has easy vehicle access by the driveway located behind the cabin. Overlook Cabin rooms are Pet Friendly. Pet fee is required and is non-refundable. 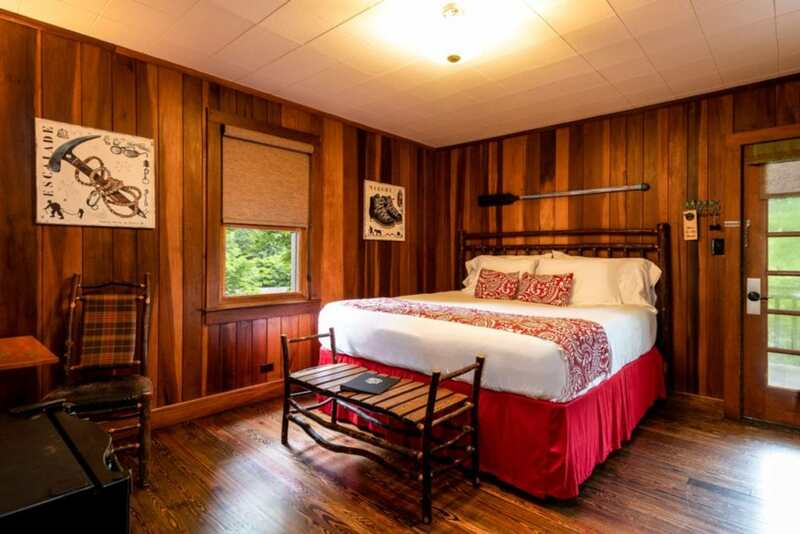 Overlook Cabin Room One features a plush king bed and a view of the beautiful Cheoah River and Tapoco grounds. The cabin room shares a porch with Overlook Cabin Two, making it an ideal cabin for friends to share and enjoy. 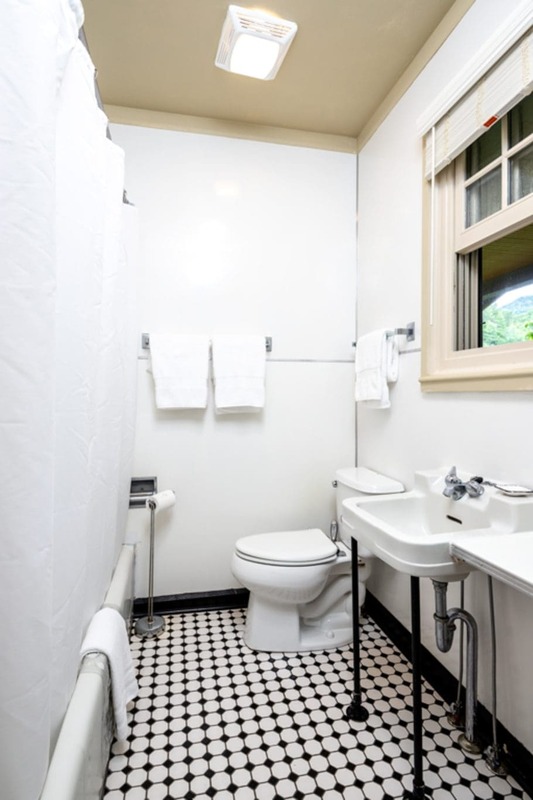 This cabin has easy vehicle access by the driveway located behind the cabin. This cabin room includes a TV with satellite service and coffee maker. 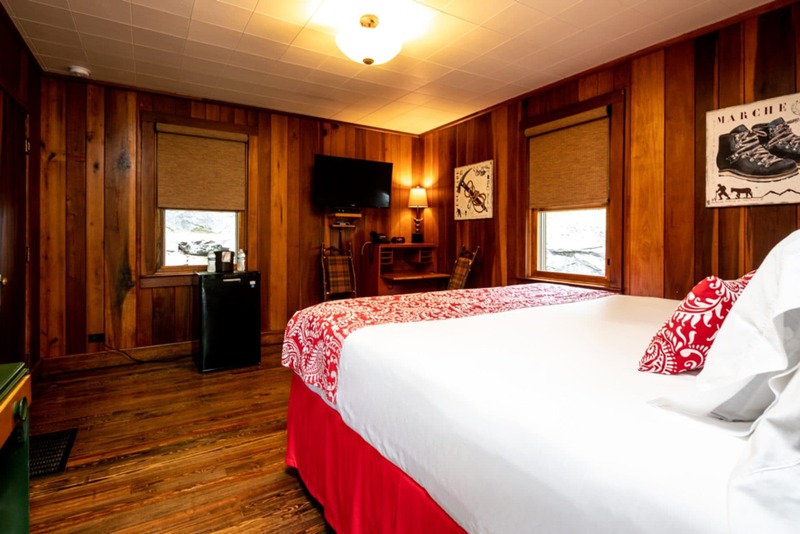 Overlook Cabin Room Two features a plush king bed and has a view of the beautiful Cheoah River and Tapoco grounds. 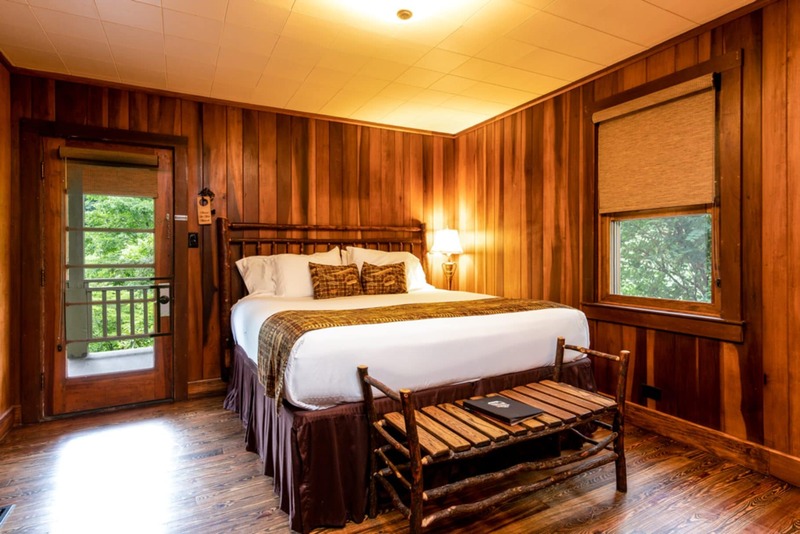 This cabin rooms shares a porch with Overlook One, making it an ideal cabin for friends to share and enjoy. This cabin has easy vehicle access by the driveway located behind the cabin. 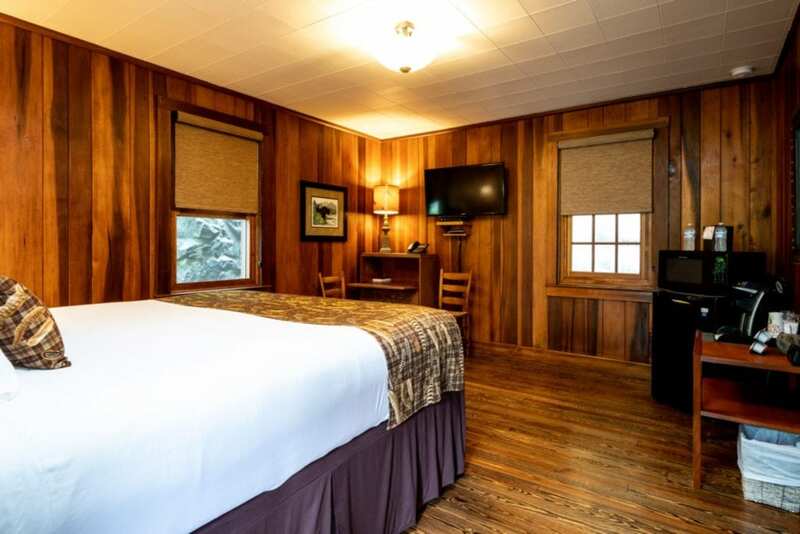 This cabin room includes a TV with satellite service, mini fridge, microwave, and coffee maker.